"At Home in Hyderabad": FRRO Day, Our First Video and HyTEA!! 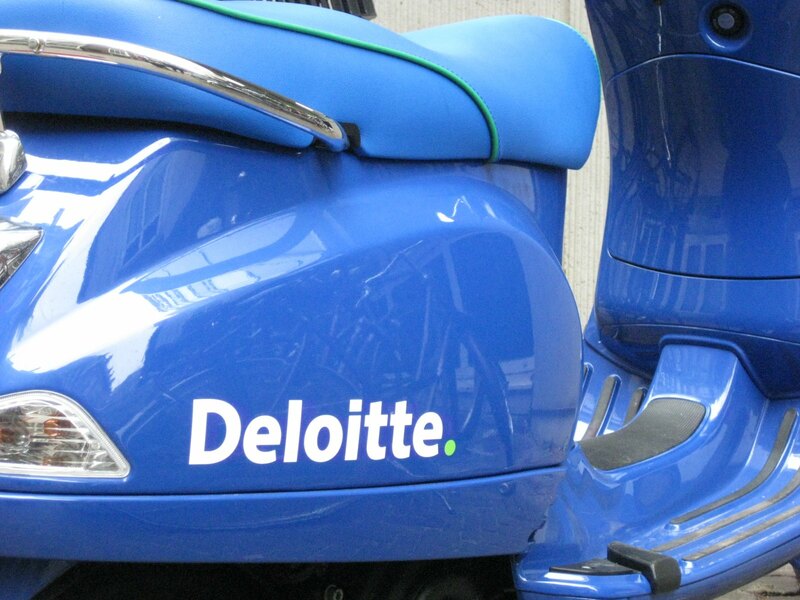 "IMPACT Day is a celebration that symbolizes Deloitte's year-round commitment to service. Tens of thousands of Deloitte personnel from across the United States spend IMPACT Day participating in more than 800 projects nationwide. Nearly a third of IMPACT Day volunteer projects are skills-based, enabling our people to contribute their business skills and knowledge to nonprofits in need. Many others are done in collaboration with education-based nonprofits, reinforcing Deloitte's deep commitment to creating a college-going culture in schools across the country." The Hyderabad Office is no different. Everybody here, no mater what position they may hold in the firm, donned their blue Deloitte t-shirts and got busy around this community that needs so much. There were a variety of choices that one could volunteer for. Everything from cleaning up neighborhoods and painting, to visiting the various orphanages around the city and playing sports and games with the children. Suzanne and I arrived too late for her to sign up. The only thing that was left on the list was: "Directing Traffic". Yeah. You read that correctly. "Directing Traffic"!! She and I have just gotten to the place where we can RIDE in a car in the middle of Hyderabad traffic withoug closing our eyes! Much less actually understanding how the crazy ballet of it all actually functions! Putting Suzanne (I was not eligible, as I am not a Deloitte employee!) out on these city streets to direct traffic could have spelled disaster! Talk about "making an IMPACT"!! Anyway...as luck would have it, A. Suzanne did not get to participate in IMPACT DAY 2010. (Cue the sad music!) You see, there is a mandatory process that needs to occur for anybody who plans to become a resident of India. By mandate, one must go to the local police precinct - the one to which your residential neighborhood is assigned (to be honest, our assigned office was not exactly close...it was several kilometers away from where we live, down in the Old City, a stone's throw from Charminar (that's the four-minaret Mosque you see at the top of this blog!). The powers-that-be at Deloitte determined that, because this FRRO process nust be completed within 14-days of your arrival, Amy and I would have to skip the IMPACT Day festivities and get this deed behind us. FRRO stands for the Foreigners Regional Registration Office. Evidently, and not that long ago, there was a another, newer facility for the purpose of issuing the necessary Residential Permit...just a few kilometers west of here, near HiTech City, at the Madhapur police station. I guess that because of the number of people who are registering with the FRRO daily, they split the city up into districts. The imaginary-line that determines where you will go puts all residents of our neighborhood (Banjara Hills) in the "Charminar District". Let me assure you, that this is not a process for the faint of heart. Coming face-to-face with the Indian Bureaucracy is never a pretty sight. 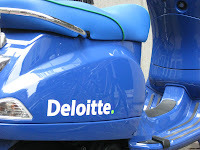 But, with all of their wisdom and experience, Deloitte makes certain that you don't have to "go it alone". The mere thought of doing what we did yesterday without a professional "minder" to get usthrough the process will give me nightmares, so I won't dwell on it. As I mentioned before, Deloitte's best decesion ever was to put us with Parminder Singh and his company India Relocators. Thanks be to God! Talk about "making an impact"!! Paminder's right hand man for the purposes of getting ex-pats through FRRO (without major injury) is Rajan Chopra. Rajan is a generally serious fellow with a great sense-of-humor (once you get to know him!) - a fellow who has obviously "been around" the governmental systems here...a guy who really "knows the ropes". It is Rajan's main job to make certain that all of the proper documentation is in order, arrive about an hour early at the office (calling it an "office" is being kind...it's more like a compound...a series of old buildings - the main waiting area is one with no air-conditioning and many broken windows - with 100+ people inside, folks from all over the world, all jockeying for the 90 metal seats, which are lined up like church pews. Some are sitting, some are standing, all are sweating. Think "waiting room in hell".) - Rajan's duty is generally to "run interference" for us. At this job, Rajan is the master! If his duty is to cut through the b.s. (which seems to pile up pretty high in the Indian bureaucracy!) and clear a pass toward actually obtaining the desired Residential Permit...then Rajan did that for us yesterday with incredible proficiency. Everybody is told ahead of time to expect to be at the "office" for three hours. Our process took exactly two hours. Two very long, steamy hours. The "line of the day" from Friday belongs to My Loving Wife...and was actually completely wordless. After the one-hour-and-fifteen-minute mark of waiting for Rajan to summon us down to the next level of NRRO hell, I looked over at Suzanne. She was sitting in a chair one away from me, sort of leaning against the wall and staring out into space. "Hey, Sweetie, " I said, "are you O.K.? You look a little frazzled." The "look" she shot back at me was more of a "scowl" - and I was afraid that it could have cracked one of the remaining unbroken panes of glass in the room behind me. THIS was not a happy camper! We got out Residential Permits signed (I kissed mine!! Cue the angelic choir: "Alleluia!" ) and could not wait to "get outta Dodge". Not an easy task on a Friday afternoon in the Old City. You see, the area where we were is a bustling part of central Hyderabad (with uncountable small shops that sell virtually anything you can think of that line the narrow streets and alleys) - and the population in this area is mostly Muslim. Friday being the Muslim "sabbath" - - all of the devout practiocioners are finishing their afternoon prayers in one of several (I lost count of how many we saw!) mosques around the Charminar area. The minarets for these beautiful mosques dot the skyline around you in this part of the city ("Charminar" actually means "four minarets")...sometimes the overflow of people saying their prayers are in the streets. The amplified "call to prayer" can be heard wherever you are. Friday is NOT the day to be in the Old City if you are planning to make a hasty retreat! Naseer ("Mister Reliable" - - I like to call him "Mister Naseer, sir!" - because those are the titles he gives me - I like to return the favor and it embarasses him!) pulled up right after we walked out of the FRRO office. Bidding Rajan and - gosh - I have forgotten her name - - she works for Parminder as well - farewell, we began the trudge home through Friday going-home traffic. Not even a blonde lady in a Deloitte t-shirt directing this mess would have made a difference. You just have to learn patience here in Hyderabad. We tried our hand at filming our first video as we were driving home. We have just posted it on YouTube. Here is a link to this first mini-cinematic effort: Clearing FRRO. We got home and let Beloved out of the master bedroom/bath/dressing area where she had been for most of the afternoon. Our next stop was our first HyTEA dinner. HyTEA stands for the (Hyderabad) Twin-cities Expatriates Association. Much more to come in future blogs about this wonderful organization of international ex-pats (we made it to the dinner on time. There we met Germans, French, Japanese, English, Americans - it was lovely!) in a future blog! We are going to like being members of this group!